If you fancy getting an idea of prices before venturing out to look at the thing in all its metal glory, then it’s a great idea to get a copy of the Alım Satım Magazine (Buying & Selling) which you can find in supermarkets and newsagents. 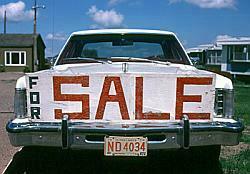 It has hundreds of cars, mostly advertised by the dealerships themselves, as well as some private sales too. If you know the type of car you want then you will know straight away whether it’s affordable for you. If you are not sure, then again the magazine will give you a good idea of what you can expect to pay. From time to time you may also find someone selling their vehicle in the classified ads section of the Cyprus Today newspaper, and also it’s sometimes worth checking the web forums to see if someone is flogging their motor on the cheap! Other things to think about are the running costs of a vehicle too. Road tax here is based on the weight of the car, which is aimed at trying to reduce the amount of juggernaut Hummers and other big off-road vehicles that have become a popular purchase in the last few years! Insurance is available either as a standard third party policy, which will only cover costs to a certain limit should you have an accident, or there is also fully comprehensive which is calculated based on car type and purchase price. The engine size is not really taken into account it would seem, although the smaller the engine the cheaper to run and less polluting from an owner’s point of view! Just to note that MOTs are not required for newly registered cars, (unless it’s a commercial van for example which needs an MOT each year). 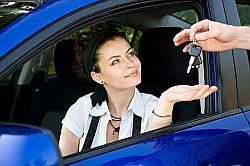 MOTs are only required after a car has been registered for around 4 years (no matter how old it is!) – so that’s a great bonus. This is the same for emissions tests as well which are only required at the time of an MOT. It’s also worth noting at this juncture that the cost of both brand new and second hand cars in North Cyprus are pretty expensive compared to what you would be expected to pay in the majority of European countries. Again, because of the status of North Cyprus, the embargoes against it and the fact that it is an island of course, the import costs of bringing cars onto the island are high, so this is then passed on to the consumer unfortunately. As an example for you to keep in mind, think of a small car such as the popular Suzuki Swift (there are hundreds of them here! ), at around 2 years old when imported here it will set you back the same price as a brand new model in the UK. When you are looking around make sure you visit a few dealerships. The main ones tend to be in the Lefkoşa area along or around the main airport road. After you reach the main roundabout after coming down the mountain from Kyrenia you will see the roads to the right and left are packed with dealerships. As you approach the roundabout there is the big Opel dealership, and all along the road to the left you will find dealerships for Mercedes, Fiat, Renault and Toyota for example, all mingled together with second hand dealers as well. If you’re looking for more of a bargain basement vehicle that may have seen some better days but is still in reasonable condition, then try the road off to the right by the Fiat dealership. Here you can often find some good deals on older vehicles which are more than likely to have been made in Turkey, such as Renault, Tofaş and Fiat. All the costs of running these types of cars are much cheaper due to the availability of spare parts and low tax costs. All along this road you will also find plenty of dealerships – both new and second hand – including the Ford dealership called Çangar which also sells BMWs if your budget stretches that far. Our main advice is that it’s sensible to shop around. 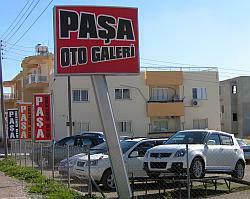 There are some dealerships in Kyrenia and also Famagusta, but they do tend to be a little more expensive for some reason, so it’s always better to take a trip into Lefkoşa as this is where the car fraternity appears to congregate! 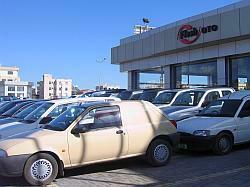 The majority of second hand dealerships seem to mainly offer cars from the Japanese market. This could be because they have plenty of nearly new car auctions there and their cars are easy to purchase over the Internet and get shipped here – plus the steering wheels in Japanese imports are on the correct side for Cyprus, ie., the right hand side! One particular car service company has a relative working in Japan, so it’s an even easier process for them to get their cars to North Cyprus! When you have finally chosen a car that you like and it suits your needs perfectly, then you can haggle with the dealer a little bit, but you would be surprised how little flexibility in price there is! From our own experiences here at Essential Cyprus there is not much you can get thrown in for free to add some incentive to get you to buy a car! However, prices do come ‘on the road’ which includes a year’s road tax, the car transferred into your name, number plates registered and put on and the car will have already had the import duty paid on it. If you’re lucky the dealer might just throw in a key-ring and an air freshener for you! If you’re a first time car buyer, just watch out for some sharp practices that can occasionally occur and ensure that the price you are quoted includes all of the above ‘on the road’ elements before you agree to buy. Some dealerships will do you a deal for your old car should you own one already, and in particular if you have brought from them previously and are taking your first purchase back to them to change it for a new one – they may give you a few hundred pounds more than if you were a new customer for example. So, once you have the keys to your new or second-hand car and all the paperwork has been done and you’ve remembered to get some temporary insurance cover in the form of a cover note, you can drive your new toy home! All that you need do now is remember to have all the requirements in place to run it legally here in North Cyprus, with the obvious insurance documentation, service schedule and emissions tests, MOT and Road Tax. We shall save all that for other articles in the future though! In the meantime, if you need to know more about obtaining a TRNC driving license please click the link provided. 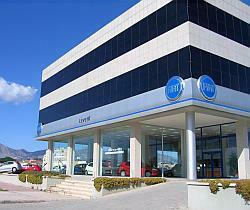 i Was wondering if in northern cyprus if they have any websire similar to the autotrader here in the uk. 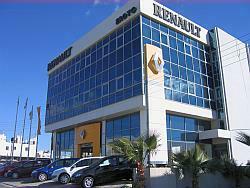 i trying to help a friend over in trnc to buy a car?